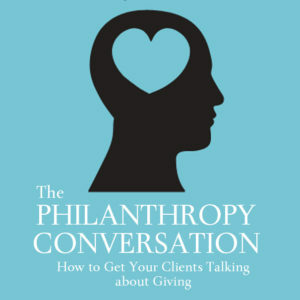 Great news from one of our nonprofit fundholders! 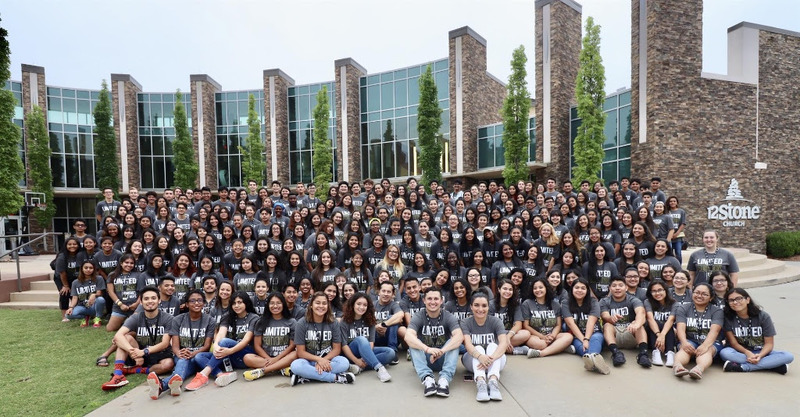 On July 12th-14th HoPe trained the 10th Generation of Legacy Leaders: a total of 209 student leaders who will be spearheading 52 HoPe Leadership Chapters with a projected number of 4,000 members across the state of Georgia! HoPE’s legacy leaders experienced 15 sessions with topics ranging from Team Dynamics, Breaking the Mold, Public Speaking, Membership Engagement, Leading in the Midst of the Storm, and Your Legacy. Each session was carefully crafted to enhance skills students will need to lead successful HoPe Leadership Chapters. We’re thankful to see homelessness being addressed – it’s one of our focus areas and we’ve been working to help solve the problem. “The county has recently developed a new interest in addressing the issue — taking steps it never has before. It included $500,000 in its 2018 budget specifically to address homelessness. Some who work in social services believe that marks the first time the county has ever allocated a significant sum of money directly from its general fund to the cause. 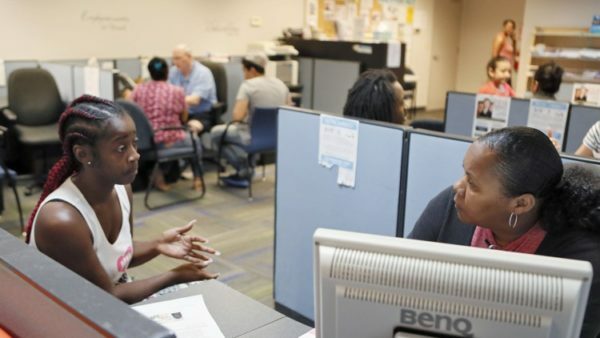 Gwinnett and the United Way also have joined forces to create a new position: a sort of county homelessness czar. 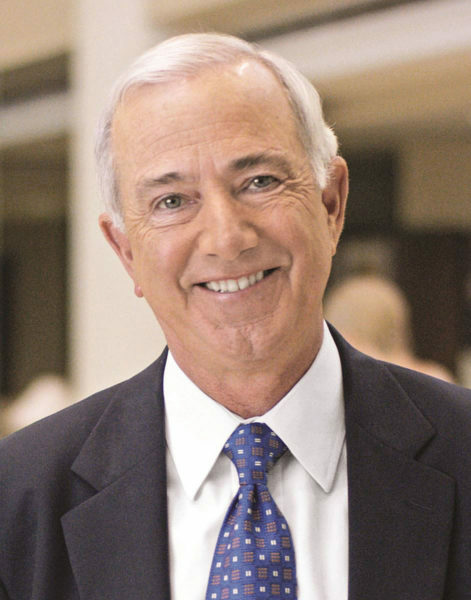 Wolfe, who has been CEO of Gwinnett Medical Center since 2006, was lauded for his work in increasing GMC’s role in the community. One of those initiatives was opening the Concussion Institute, which offers enhanced care for children and young adults. 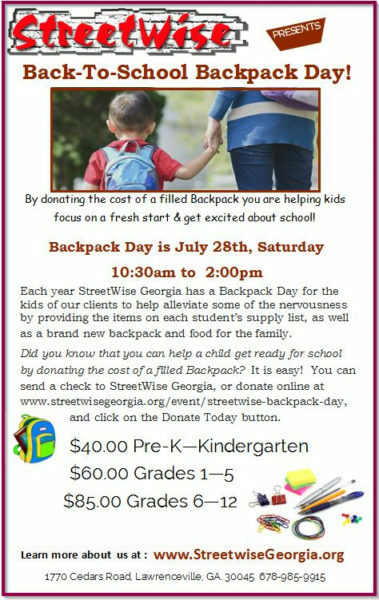 StreetWise’s backpack day is tomorrow and there’s still time to help! DO THIS DAILY until August 1st. 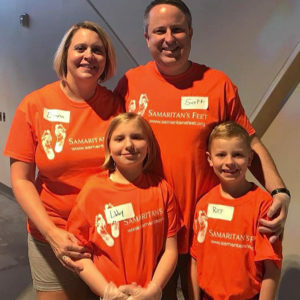 Community service has always been an important part of Lauren Seroyer’s upbringing. 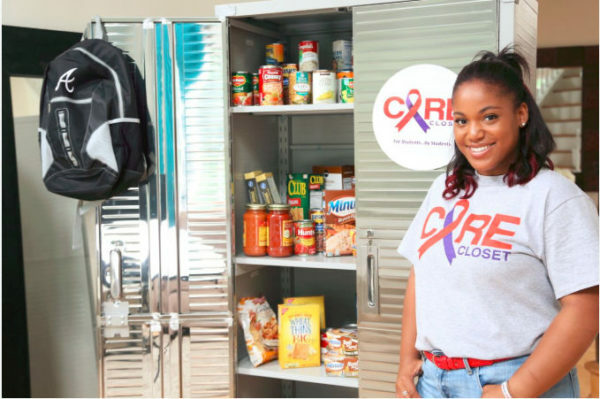 The Peachtree Ridge graduate has taken what she was taught and used it to impact the local community and beyond by the creation of the non profit family supply bank. See you next week with more good news from our community!